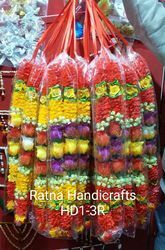 Leading Manufacturer of pearl pooja garland, ribbon satin haar mala, fancy karwa chauth kit and rh handicraft jhula from Delhi. 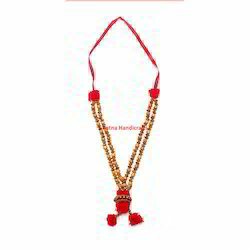 We offer a wide range of Plastic Beads Puja Garlands which are used for Photos/ Idols and human wearing as well. The range have various size, color, designs, etc. 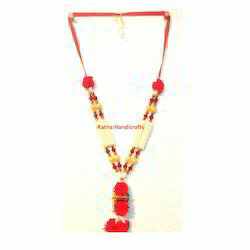 We at Ratna Handicrafts, provide a unique and exclusive range of Ribbon Satin Haar Mala. We offer a wide assortment of colored Ribbon Satin Haar Mala. 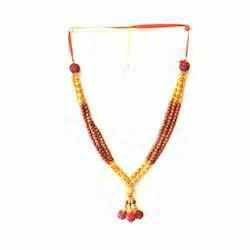 These attractive and trendy products are precisely manufactured in modern manufacturing facilities using the beads material available. 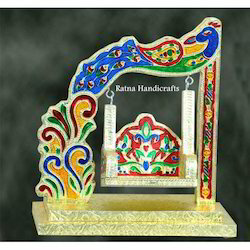 we offering wide range of Satin Multi Colored Garlands. 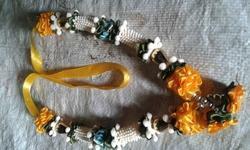 Ribbon Satin Haar Mala for deity, reception and other purposes, the garland is made of satin ribbon with beads and other items. 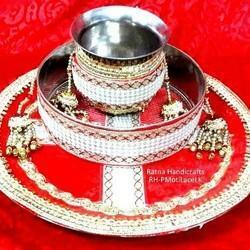 Fancy Karwa Chauth Kit for Indian Traditional Karwa Chowth ritual. The set is made of steel and is decorated with cloth and other fancy borders. The set contains Pooja Thali, lota and a jali.